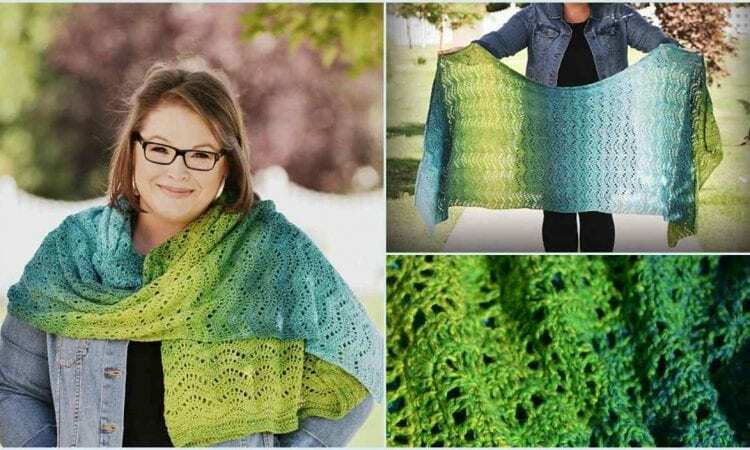 The Chevron Waves Lacy Wrap is a project that makes use of a very popular crochet, the chevron stitch. Using the color transitions inherent in It’s a Wrap Rainbow™ yarn will give it a color gradient that will highlight the texture of the finished wrap. The Chevron Waves Lacy Wrap is a beautiful accessory for any spring or fall outfit, or one for a cool summer eveneing for that matter. The wrap is 74” by 38.5”.